The bottom line: If you want to see exactly what your 4K Ultra HD TV is capable of, you need to plug a 4K Ultra HD Blu-ray player into it. Updated April 3, 2019 to add our review of the brand-new Panasonic DP-UB9000 Ultra HD Blu-ray player. At a time when some manufacturers—including Samsung and Oppo—have stopped building Blu-ray players for the U.S. market, Panasonic introduces a very powerful model for discerning home theater fans. Needless to say, it is our new top pick in the high-end category. If you’re looking for a no-compromises Blu-ray player that performs as awesomely with audio as it is with 4K Ultra HD video, you need to consider Panasonic DP-UB9000. This no-compromises player has a high-performance disc reader, a great remote control, and a back panel bristling with outputs, including balanced XLR audio. 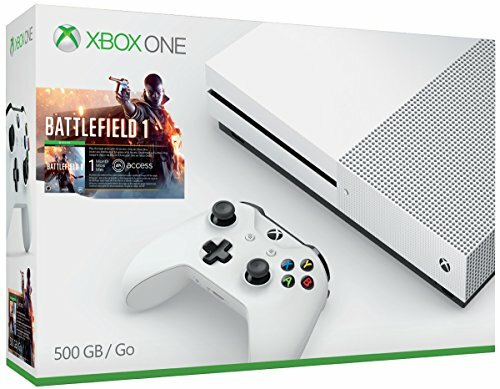 The Xbox One S is a stellar value, especially now that it’s able to stream high-resolution bitstreams—including Dolby Atmos—to higher-end A/V receivers. It played every Ultra Blu-ray disc we threw at it without issue, and it delivered great video quality. Did our picks leave you feeling less than satisfied? Well, there just aren’t a lot of Ultra HD Blu-ray players on the market. We expect this to change as Ultra HD Blu-ray discs are the best way to reap the full benefit of 4K UHD TVs. We’ll re-evaluate our choices as new models come to market. In the meantime, here are the specs and features you should look for when you shop for an Ultra HD Blu-ray player. Analog audio out There are two reasons to value analog audio outputs on a Blu-ray player. First, in the event you’re using an older A/V receiver that doesn’t have HDMI. You’ll have to go back pretty far to find an A/V receiver that has neither HDMI nor analog audio inputs for at least stereo and a 5.1-channel speaker system. Second, you might discover that the Ultra HD Blu-ray player’s DAC sounds superior to what your A/V receiver puts out. In that case, you’d connect the Blu-ray player’s analog outputs to the A/V receiver’s analog inputs and only use the receiver’s amplifier. Or you could even connect the player to a separate two-channel amp that’s dedicated solely to music. In short, it’s all about having options. Audio encoding Audio can be compressed using lossy or lossless algorithms. Lossy compression, such as MP3, throws away some of the information in the original recording. Lossless compression uses a sort of shorthand to eliminate only redundant information. You could compare to a ZIP file since it retains the full fidelity of the original file. Lossless obviously sounds better. Lossy audio file formats include MP3, M4A (Apple), OGG, and WMA (there is also a lossless version of WMA). Lossless audio file formats include APE and FLAC. There are also lossless versions of M4A (ALAC) and WMA. BD-Live A Blu-ray feature that enables you to download additional content—featurettes or making-of videos, for instance—from the internet to watch before or after you watch the movie. DLNA compliance The Digital Living Network Alliance’s standard for streaming media makes it possible for a Blu-ray player to render audio, video, photos, and other digital content streamed from other devices on your home network; typically, a computer or network-attached storage (NAS) box. DSD audio decoding Direct Stream Digital was originally developed by Sony and Philips for their Super Audio Compact Disc (SACD) high-resolution audio platform. DSD uses single-bit sampling rates of 2.8- to 5.6MHz and higher. You’ll also see DSD files characterized as DSD64 (because the 2.8MHz sampling rate is 64 times that of a CD), DSD128 (44.1kHz times 128 is 5.6MHz), and so on. A Blu-ray player’s ability to play DSD files doesn’t necessarily mean that it can read SACDs. But you can purchase music encoded in DSD format from various online merchants and store those files on a NAS box. 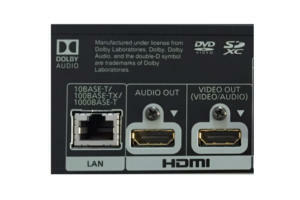 HDMI audio out Having a separate HDMI output for audio provides flexibility. If you’re connecting the player to a video projector instead of a TV, for instance, you can connect the projector to the HDMI video out and use the HDMI audio out for your A/V receiver or sound bar. Image file support Some Blu-ray players can stream digital photographs from USB or network storage, and some (such as Panasonic’s DMP-UB900) will even play music to accompany the show. JPEG is the most common image file format, but if you use others—GIF, TIFF, or PNG, for example—you’ll want to know that the Blu-ray player you buy can render them. 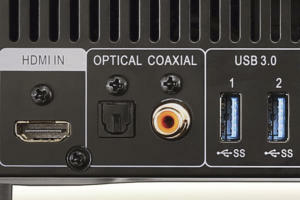 Optical and/or coaxial digital audio out Flexibility is the key benefit here. 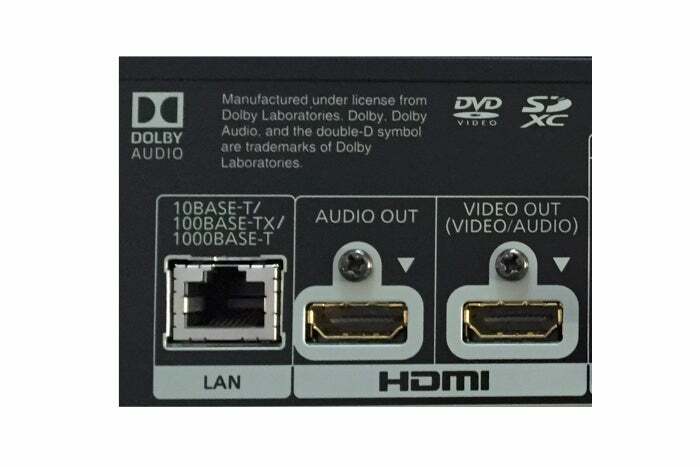 If you’re using an older A/V receiver that doesn’t have HDMI (or one that has HDMI, but not HDCP 2.2), you can connect the player to your TV using HDMI and use whichever of these digital audio outputs works with your receiver. 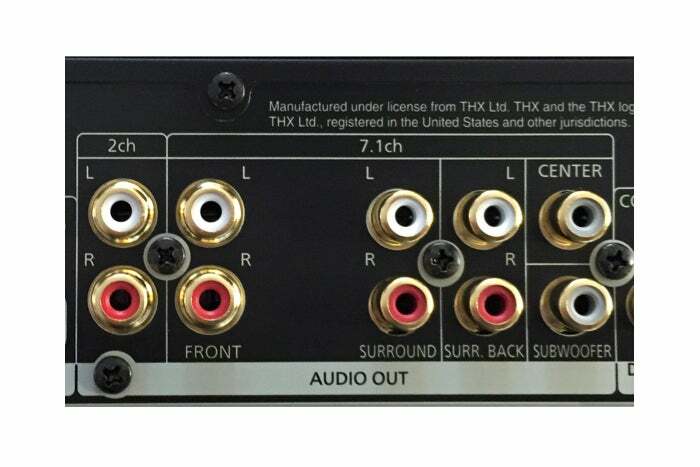 Be aware, however, that these connections don’t provide sufficient bandwidth to handle Dolby TrueHD, DTS HD Master Audio, Dolby Atmos, or DTS:X. Audiophiles, meanwhile, will appreciate having these connections so that they can put a higher-end digital-to-analog converter (DAC) between the player and their receiver or amplifier for listening to music. Remote control The quality of the remote control can have a tremendous impact on how much you enjoy using your Blu-ray player. It needs to have just the right number of buttons, so you’re not fumbling around trying to accomplish simple tasks, and the buttons need to be clearly labeled so you can see them at a glance. Buttons that can control other devices, such as your TV or A/V receiver, are also useful. And you’ll really appreciate backlit buttons, so you can operate the remote in the dark. If you’ve invested in a universal remote control, such as Logitech’s Harmony Elite, then none of that matters. SACD and DVD-Audio discs These high-resolution audio disc formats came to market in 1999 and engaged in a relatively brief format war. SACD eventually won, but neither format achieved widespread acceptance in the marketplace apart from audiophiles. SD Card slot SD (Secure Digital) and SDHC (High Capacity) cards are commonly used with digital cameras to store image and video files, though they can be used to store any type of digital information. If your Blu-ray player is equipped with an SD Card reader, you can use it to show these image and video files on your TV. Some Blu-ray players rely on SD cards to store BD-Live. Most SD Card slots can also read a MicroSD Card with an adapter. But there are also USB SD Card adapters, so the absence of an SD card slot is mostly a matter of inconvenience. USB ports These are most commonly used for reading from or writing to a USB drive, but most typically for playing media files or storing BD-Live information. Some Ultra Blu-ray players, such Panasonic’s DMP-UB900, even support a USB keyboard and mouse. Note that while most Ultra Blu-ray players support drives formatted FAT, FAT32, and NTFS, they might not support the increasingly popular cross-platform (Windows/OS X) exFAT, which Microsoft charges royalties for. You might also check the maximum drive capacity that’s supported. Front-mounted USB ports are obviously more convenient than ports on the back of the player. Video container and codec support If you have a library of videos that you’ve ripped from DVD or Blu-ray discs, captured on your smartphone, or recorded with a camcorder, you’ll want to be able to play them on your TV. Whether you’ve stored them on a USB hard drive or a NAS box, make sure the Blu-ray player you buy supports whatever containers and codecs you’ve used (unless you’re already set up with some other device for this purpose, such as a Roku player). The most common containers are AVI, MKV, MP4, and MPG. The most common video codecs are h.264 (AVC), h.265 (HEVC), WMV, and the various MPEGs. Video-streaming services If your Blu-ray player can connect to popular video-streaming services such as Netflix, it eliminates the need for a dedicated box like a Roku or an Amazon Fire TV in your entertainment center. The more services supported the merrier, but consider Netflix and Amazon Prime Video to be the minimum. Make sure the player supports the 4K and HDR versions, if the service offers them. Wi-Fi Everyone knows what Wi-Fi is. What’s more important is the type of Wi-Fi the Blu-ray player supports. The latest and fastest standard is 802.11ac, which operates on the less-crowded 5GHz frequency band. 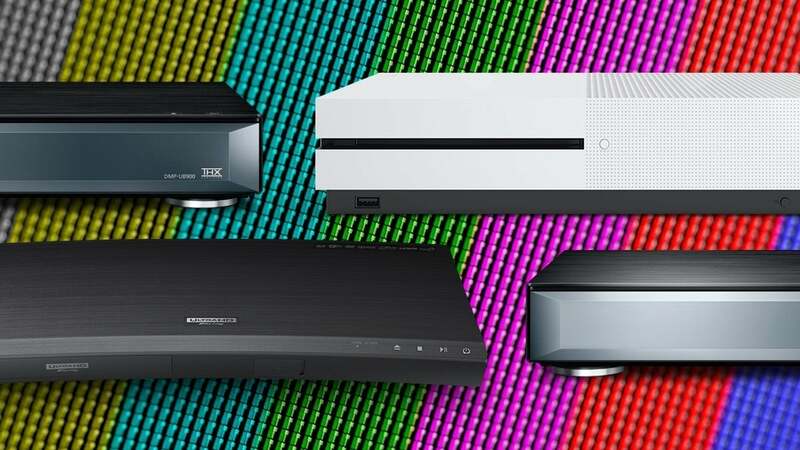 Blu-ray players with 802.11b/g/n adapters will work with an 802.11ac router (because all such routers are backward compatible), but they might rely on the more crowded 2.4GHz band and therefore might not stream 4K UHD video as smoothly. This is a great Ultra HD Blu-ray player, but most people won't benefit from the advanced features that lift its price tag so high. If you want everything Ultra HD Blu-ray can deliver, but are on a tight budget, Samsung's UBD-K8500 is the player to buy. Just be aware that you might have to tweak some settings to clear up the judder issue with non-Samsung TVs.